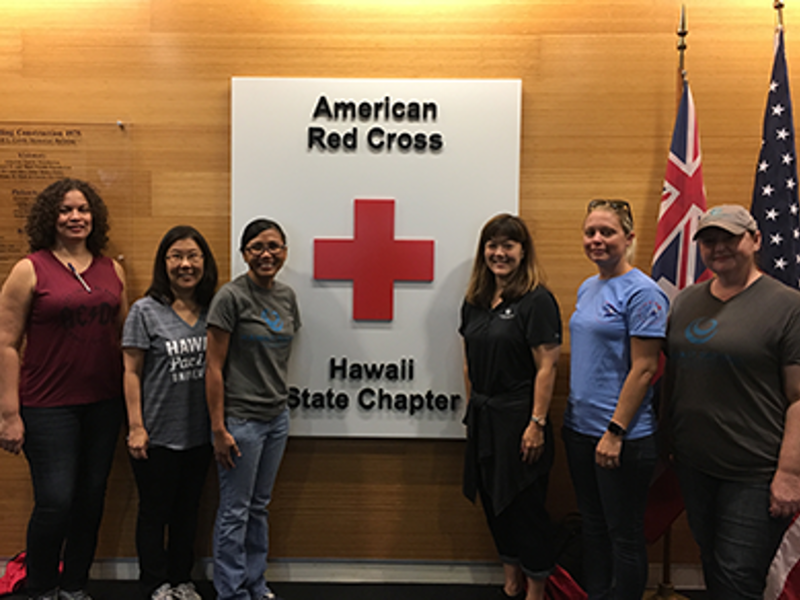 Approximately a dozen HPU employees and students stepped forward to volunteer on Sept. 23 and Oct. 7 for the American Red Cross of Hawai‘i “Sound the Alarm: Save a Life Campaign” service work days. Working in teams, the HPU ‘ohana joined 300 corporate and individual volunteers to install 626 smoke alarms in 270 households on Oahu. The teams also provided fire safety education to the residents. Hawai‘i Pacific University seeks service partners whose work could most benefit from our ‘ohana’s desire to volunteer and give back to the people and communities throughout our islands. In September, the University announced it had committed to a partnership with the American Red Cross of Hawai‘i as HPU’s service organization of choice for the 2017-18 Academic Year. According to the American Red Cross, they respond to a disaster every eight minutes, and the vast majority of these are home fires. Every day, seven people die from home fires, and most of these deaths are attributed to homes that lack working smoke alarms and a disproportionate number of children and elderly are killed..